So I go home yesterday and find a package from Hudson, not sure what to expect I tear it open and find the demo disks to both Beyblade Metal Fusion Battle Fortress and Lost in Shadow. As some of you may be aware of, we have been covering Lost in Shadows for the last couple months, so here are my impressions of time spent with both demos. I will start with Beyblade, a game where you play as a “blader” fighting in the World Beyblading Championships based on the TV series. The demo consists of a tutorial and two gameplay modes allowing me to choose from a number of available players. After a brief tutorial I start blading like an animal, flicking my wrist to throw my blade into the arena trying to knock out my opponents. The way you shove the computer is by shaking the remote in the direction of the opponent for that extra oomph. 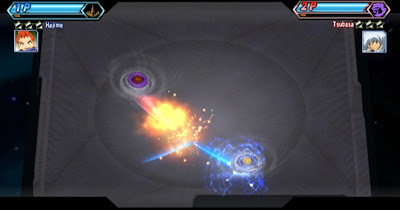 From the looks of the demo, you are able to play a type of survivor mode to see how man Beyblades you can knock out in one turn and a mode where you play in the tournament either against friends or the computer. I felt this title was pretty simple, with a lot of remote shaking, but like other games based on TV series’ there will probably be mass amounts of tweens lining for this release. Lost in Shadow surprised me with a demo lasting significantly longer than Beyblade taking about a half an hour to complete. In the demo, the story starts with your character suspended in some sort of trance when the big baddy comes out strikes you, releasing your shadow from your body. From there I was walked through a tutorial by accessing memories to help me gain mass and get me to the tower to ascend and seek vengeance. 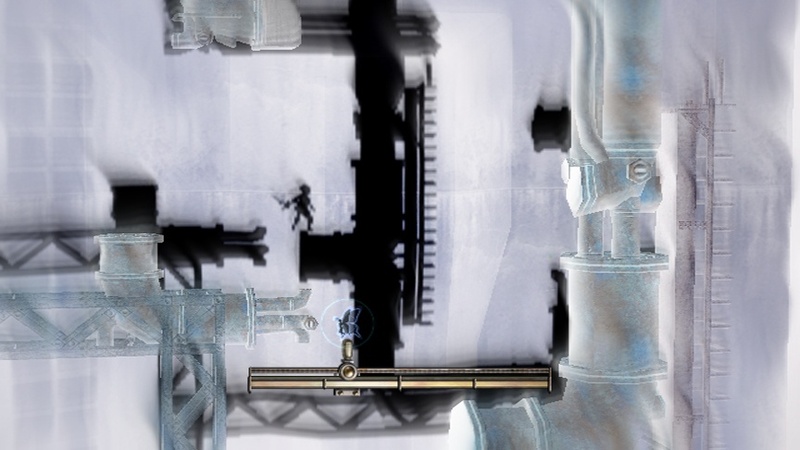 Using a “Spangle”, which appears to be a type of fairy you use to find moving part in the tower make your way to the goal. The use of shadows and ability of fight shadows along with manipulate light make this a platformer puzzler that I am definitely looking forward to as plays just as good as it looks.